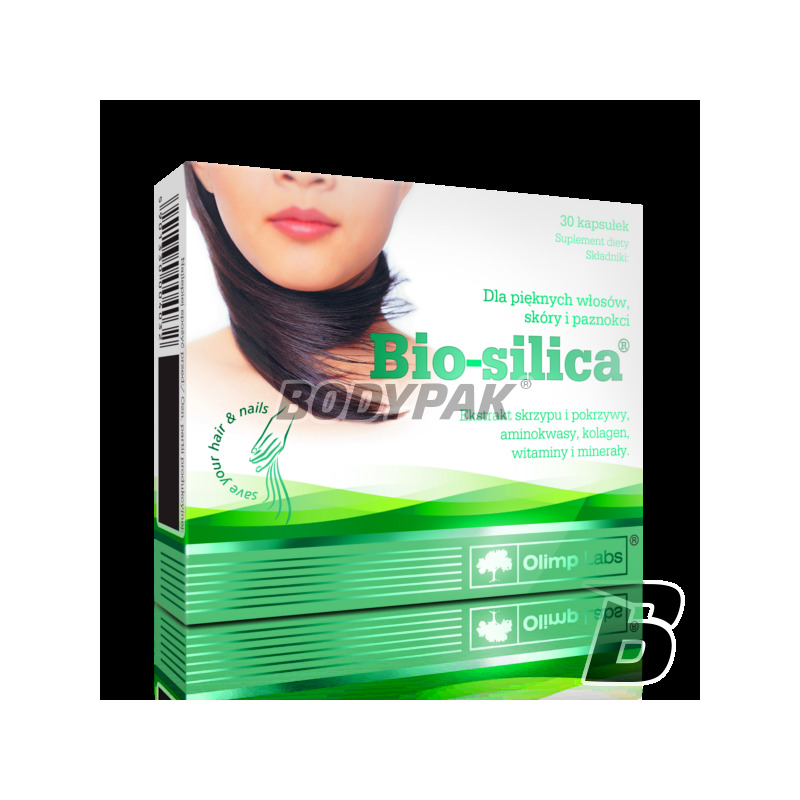 Health & BeautyOlimp Bio Silica - 30 kaps. stinging nettle (Urtica dioica L.), rich in active compounds - natural vitamins (C, K, wit. of gr. B), minerals and bioflavonoids, strengthening hair, nails and skin repair. protein hydrolyzate of collagen, which is a source of amino acids, especially proline, hydroxyproline and glycine necessary in the process of formation of connective tissue complex vitamins (E, thiamine, riboflavin, B6, niacin, pantothenic acid, vitamin C, folacin, biotin, B12) and the components mineral - zinc and copper, responsible for normal growth and appearance of the hair and skin. 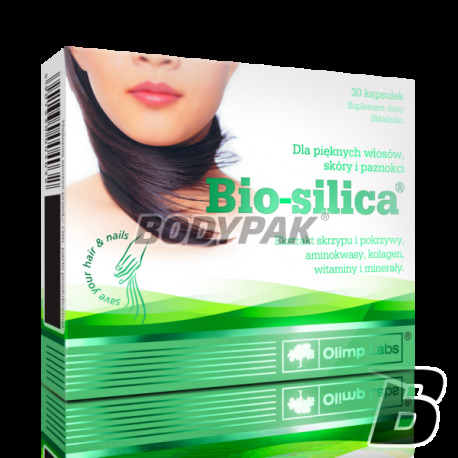 Capsules OLIMP BIO-SILICA are intended as a preparation strengthening hair and nails and improving the condition and appearance of the skin. Usage : 2 capsules daily, preferably with a meal. Do not use with other products containing silicon. Long-term use must also take vitamin B1 . Już po miesiącu stosowania widocznie wzmocnił moje włosy i paznokcie, stały się mocniejsze i zdecydowanie szybciej rosną. Skóra jakby nabrała blasku.